Om Shubh Yatra is a leading company in travel industry. We offer International, Domestic Holiday, Honeymoon Packages and Pilgrimage Tour Packages on Best Price with Best Services. Get Lowest Price & Best Service. Book Now!!! 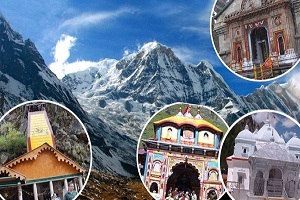 Visit:Haridwar,Yamunotri, Uttarkashi, Gangotri, Rudraprayag, Guptkashi, Gaurikund, Kedarnath, Joshimath, Badrinath, Devprayag. Pick and Drop from Railway Station/ Airport. 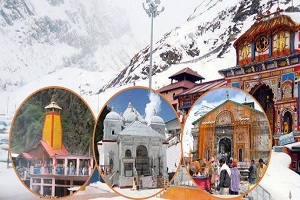 One of the famous sites of the Chardham Yatra, the Badrinath Dham has allured tremendous devotees to the joyous Chamoli district of Uttarakhand. The most exemplar value of humanity and mankind, the Badrinath Yatra is simply manifested for the welfare of humanity and for the sake of tremendous devotees to bring salvation and redemption from sufferings. 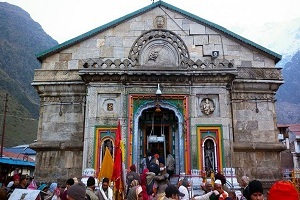 The ancient mythology depicts the value of the Badrinath Mandir with the legend of meditation of Lord Vishnu for complete 1000 years under a Badri Tree for the welfare of humanity and since then the location is considered sacred by establishing the shrine of Lord Badrinath in the meditative pose; and to spellbound tremendous devotees, there are other captivating images and idols of Lord Vishnu. The one meter tall Lord Vishnu’s imposing structure lying amidst the Nar Narayan temple with its three sacred sections including the Garbhagriha, Sabha-Mandap and Darshan-Mandap is the reason for the fame of whole the Chamoli district. Along with the shrine of Badrinath temple, there are other fascinations that captivate people for thronging across the holy destination and that include Tapt Kund and Surya Kund and famous Panch Badri. a natural submerged rock in the form of partial shivaling along the Gangotri Temple brings great significance to all where it is believed to be the same spot where Lord Shiva entangled the great waves of river Ganges in his matted locks. Experiencing Gangotri Yatra is the amazing feeling like never before and that can be shared during the months of May to June and September to October. Yamunotri, the source of Yamuna River and the seat of the Goddess Yamuna, the Yamunotri Dham is the holy journey at the height of 3293 meters at Uttarkashi district in Uttarakhand. The temple devoted to Goddess Yamuna and the holy thermal spring at Janki Chatti at 7 kms away are the major attractions of Yamunotri tour. The actual source of River Yamuna is at a fewer distance from the temple at an altitude of about 4,421 meters (14,505 ft). Besides, two hot springs can also be seen at Yamunotri Dham out of Surya Kund, has boiling water properties where the Gauri Kund has lukewarm water suitable for bathing. Shri Hemkunt Sahib is an important pilgrimage destination for Hindus and Sikhs. Hemkund is the breathtaking Lokpal lake located at an altitude of 4329 m from the sea level. Sikhs consider this as a scared region with one of the famous Sikh Gurudwara placed in the heart of the region. A Hindu shrine dedicated to mythological hero Lakshmana is attractive for Hindu Pilgrims. This temple is built on the banks of Hemkund.